Iran says Saudi jets stopped Iranian planes carrying 'humanitarian aid' to Yemen, as tensions between Sunni-Shi'ite rival states grow. Amid reports of a renewed Saudi offensive against Iranian-allied rebels in Yemen, Iran's news agency reported on Friday that Saudi Arabia had stopped Iranian aid planes from landing in Yemen. Not unexpectedly, a top Iranian official responded with threats directed at Saudi Arabia. Deputy Foreign Minister for Arab and African Affairs Hossein Amir Abdollahian warned on Sunday that the Saudi behavior and its siege of Yemen and preventing the dispatch of humanitarian aids "will not remain unanswered." "Saudi Arabia is not entitled to decide for others in the region," Abdollahian added. 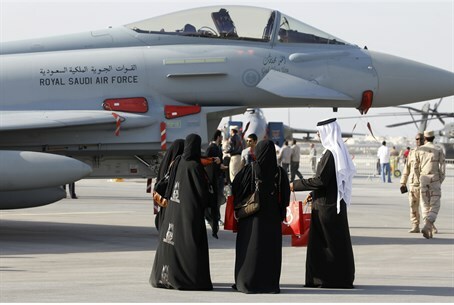 Iran's FARS News Agency stated that Saudi fighter jets stopped Iranian planes carrying humanitarian aid on two straight days. Sunday saw Saudi naval shelling and air-raids - at least five of them, Reuters reports – as the combat in Yemen, including ground battles, intensified. It has been about a month since a Saudi-led alliance initiated an offensive against Iranian-allied Houthi forces who have seized wide areas Yemen. Saudi Arabia, still the world's top oil exporter, is an arch-adversary of Iran in the eastern Middle East. The Saudi kingdom is of the Sunni Muslim persuasion, while Iran is run by Shi'ite Muslims – and supports the Shi'ite Houthi advance across Yemen. The Saudis are attempting to restore exiled Yemeni President Abd-Rabbu Mansour Hadi and prevent Yemen's becoming a chaotic Al-Qaeda terrorist state. Iran denies having given aid to the Houthis. In another bellicose gesture, Iran's naval chief said Iranian warships would remain in the Gulf of Aden for at least several months, in order to "protect shipping routes against piracy." The United States has deployed an aircraft carrier, a missile cruiser, and seven US warships near the Gulf, and has warned Iran not to send weapons to Yemen. Israel and Saudi Arabia have shared interests in opposition to growing Iranian and Shi'ite influence, and reports of meetings between Mossad and Saudi intelligence officials are no longer surprising.